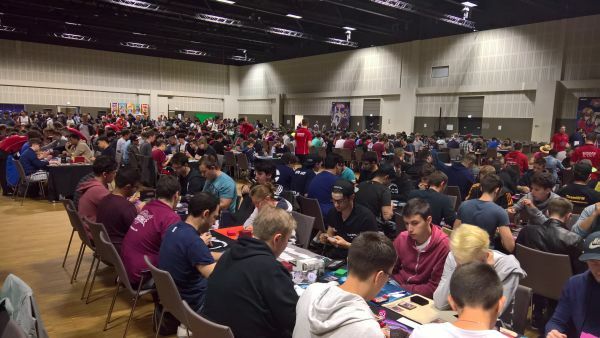 We’re looking for Decks & Duelists to feature at YCS Prague! At every event, we are always looking out for interesting stories to tell, whether it be about an innovative Deck idea, a group of Duelists who traveled from far away, or anything else we think would be fun to tell people about. If you would like to be considered for a feature at Yu-Gi-Oh! Championship Series Prague 2017, we’d love to hear your story! Below you will find a contact form to fill out, be sure to let us know some interesting things about your Deck or Dueling experience. This information will then be passed on to our coverage team who will use it to help select Duelists to feature. Please complete this form before Monday, March 13th. If selected for a Deck profile, the coverage team may get in touch with you before the event. Is this the first YCS you will be competing in? Have you done particularly well in previous tournaments, such as a National Championship or YCS? Let us know here. Tell us a bit about your Deck; how it works, what its key strategies and combos are etc. Write out your Deck List here. It does not need to be 100% final; this is merely so we can see what kinds of cards you are using. Would you like to be considered for a "Duelist Diary"? Duelist Diaries are short blog articles where we check in with a Duelist after every few Rounds to see how they're doing in the tournament. Do you have anything else you would like to add? Provide additional comments here if you do.